Join us on April 6th for our “Spirit of the Woods” Gala, a banquet celebrating the enduring spirit that brought BW to life in 1937. Purchase a table or tickets at www.bradwoods.org/spirit. This is a great chance for our current campers, families, alumni, staff, partners, and stakeholders to celebrate all that happens at BW each year. 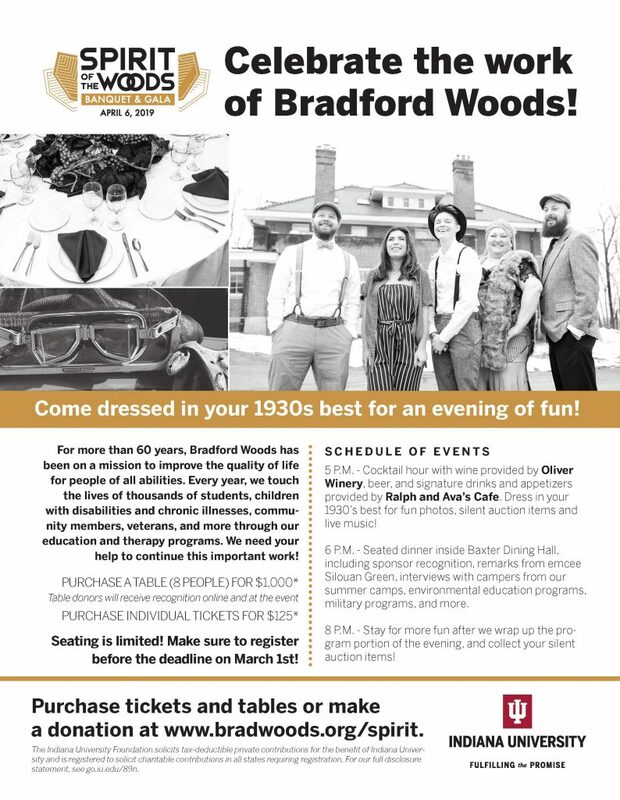 We’ll have a keynote, great food, good friends, a bartender, silent auction items — and a 1930s theme, to celebrate the year and decade the deed was granted. – Emcee Silouan Green, a Marine Corps veteran and national speaker and advocate for PTSD. – Stories from our participants and families. 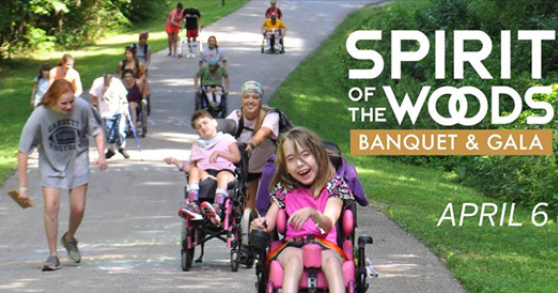 – Silent auction items from Ward’s Apparel, Segway of Indiana, the IMU Hotel, Cracker’s Comedy Club, Cedar Creek Winery, and more.